Reach for these essential oils when you need a boost. Our sense of smell has the power to evoke nearly forgotten memories, stave off fatigue — and even warn us of danger. How can a scent have so much power over our bodies? The science is complex, but here’s a simplified version. The area of the brain affected when you experience a scent is intertwined with the parts responsible for emotion, memory, and fear. This link is why a particular smell can trigger an intense reaction. In fact, our reaction to scent is so strong that you can even use it to treat common ailments. This practice is called aromatherapy. 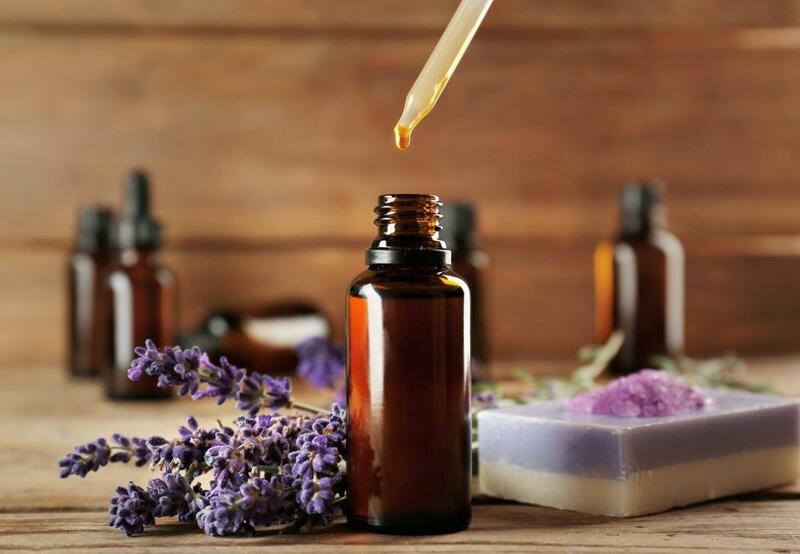 By harnessing the amazing powers of scent, essential oils can boost your mood, relieve stress, and clear your sinuses. 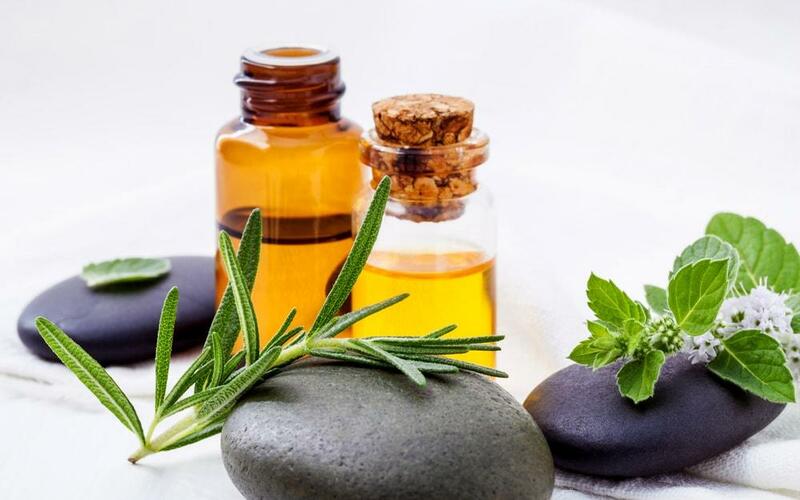 The healing properties of essential oils can even go further: some plant essences, like tea tree oil, eucalyptus oil, and peppermint oil, kill germs the natural way. 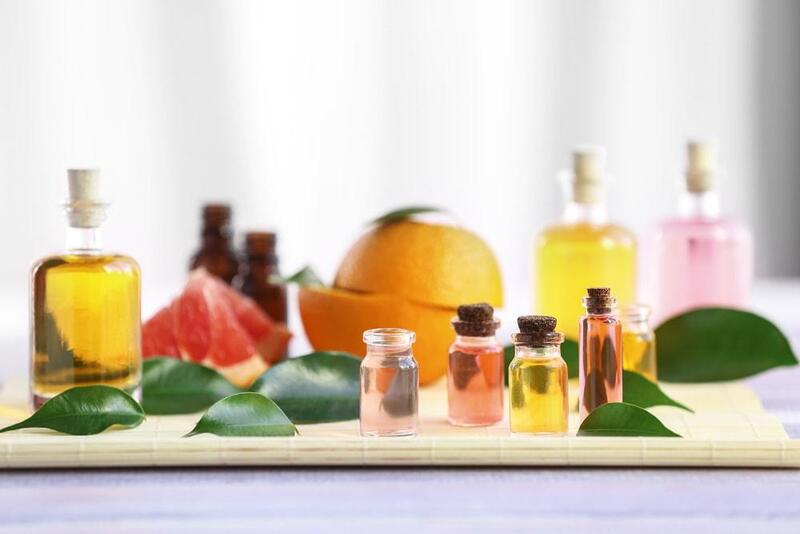 This essential oils guide will teach you how to use plant essences and take advantage of their health benefits. Of course, this essential oils guide isn’t meant to be used as medical advice. If you’re feeling ill, see a doctor before using essential oils. 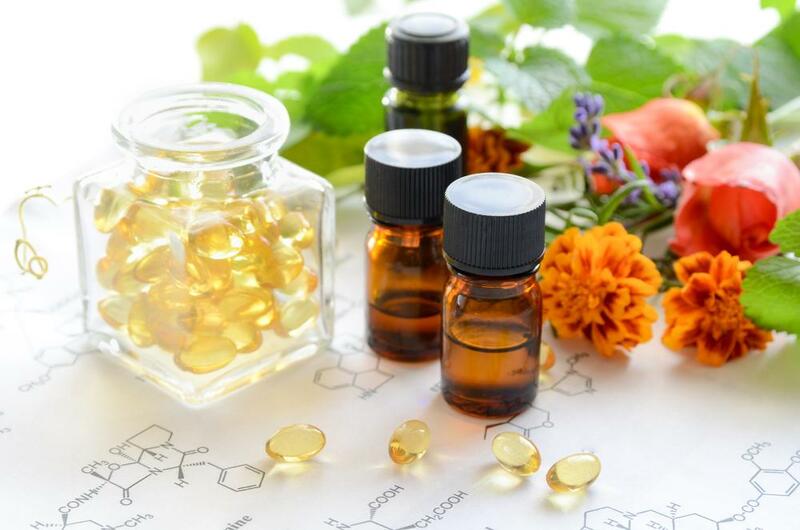 Essential oils on their own won’t cure any illness, but they’re a great supplement to a treatment your doctor prescribes. 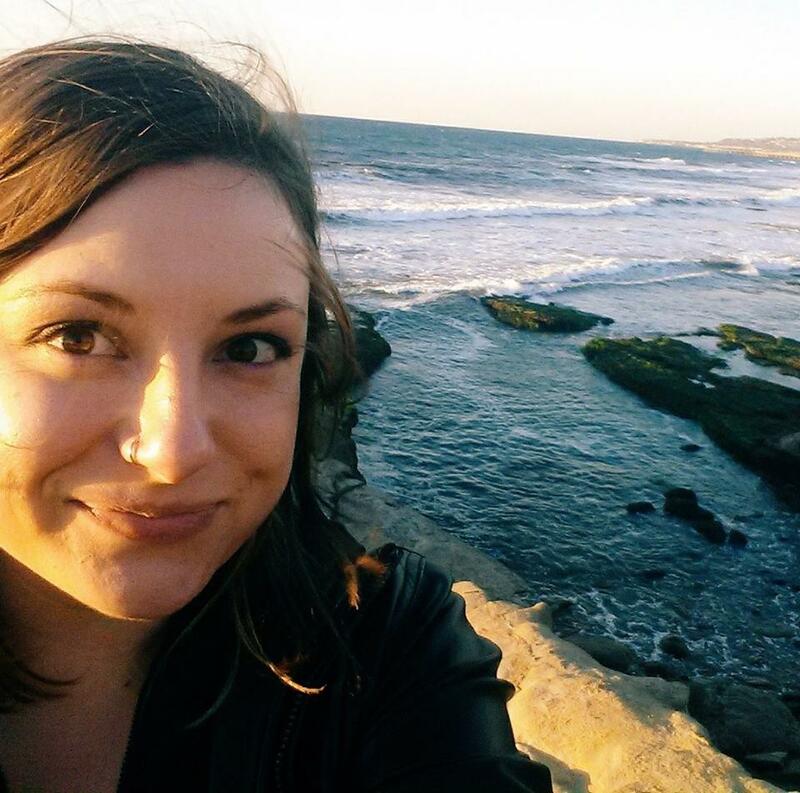 Creating a home apothecary with essential oils is easy. All you’ll need is a few scents, a carrier oil, and a diffuser. The first way to reap the benefits of essential oils is to mix 6-12 drops with one ounce of carrier oil and massage it onto your skin. Why mix it? 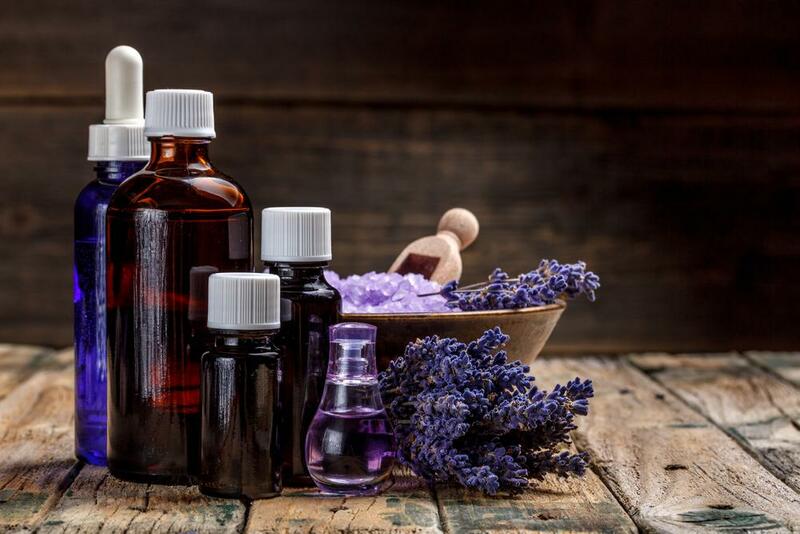 Essential oils are the highly concentrated essence of a plant, meaning they’ll likely irritate your skin. Remember that essential oils are the essence of a plant. If you’re allergic to the plant, you’re allergic to its oil. If you’re not sure, test a small amount of the oil (combined with a carrier oil) on your skin. You can also inhale essential oils. Fire up your diffuser, add some water, and include your favorite scents. Inhaling the vapor is a safe, healthy way to ingest the oils and take full advantage of their medicinal benefits. Some blogs and websites also encourage adding essential oils to water or food. We don't recommend it. The high concentration means small doses can be harmful or even fatal, especially with children and the elderly. Incorporate essential oils into your fitness routine to energize your workout and curb cravings. 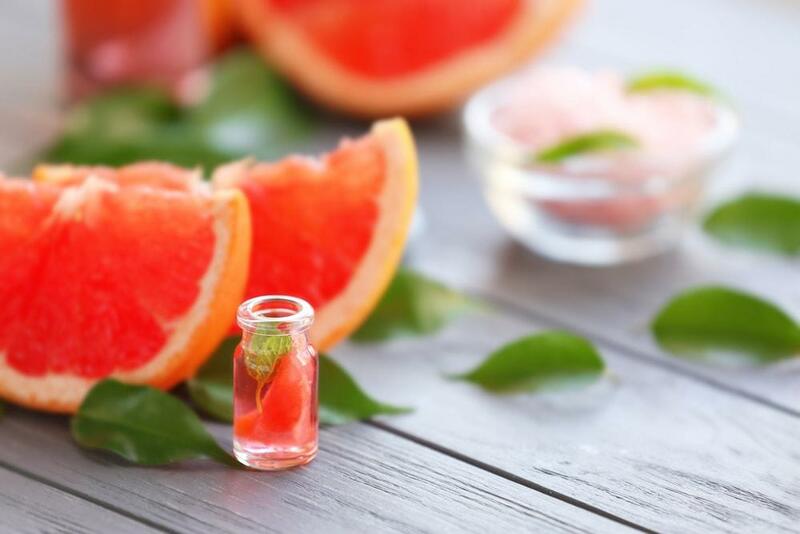 Look for strong essential oils that have a zing, like citrus or peppermint. Massage them into your skin before you hit the gym to give your workout an extra jolt. You can also diffuse them when sugar cravings start. When your muscles are feeling achy, massage them with essential oils for an extra bit of relief. You can also add your favorite oils to your next bath for a therapeutic soak. Clear your sinuses and soothe irritated passageways by inhaling essential oils from your diffuser. Look for oils with antibacterial and decongestant properties to fight congestion and calm your body’s natural reaction to allergies. Essential oils with antibacterial and anti-inflammatory properties are key to banishing pesky pimples. 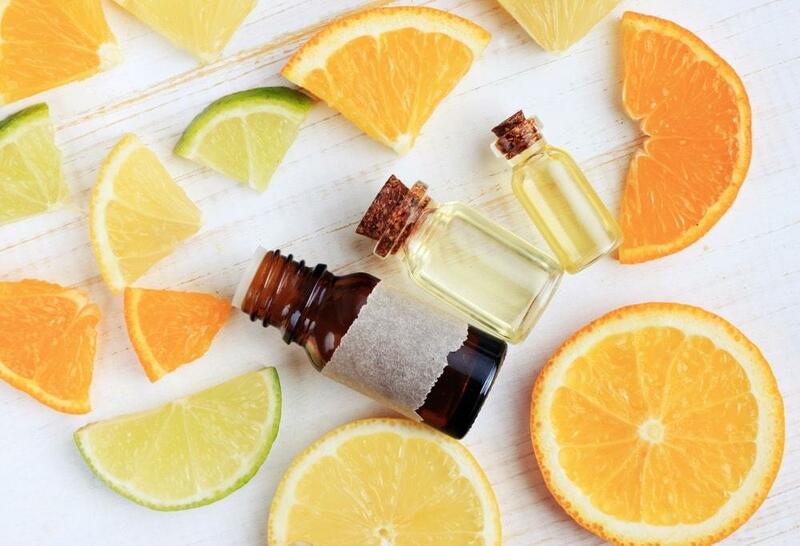 Mix a few drops with a non-comedogenic carrier like jojoba oil, sweet almond oil, or argan oil. Apply the oil after you wash your face for a moisturizer with added acne-fighting powers. When looking to relieve pain from an earache, reach for the essential oils that boost circulation and promote healing. Add a few to your favorite carrier oil and rub it around your ears so your skin can absorb the medicinal properties of the plant. Look for essential oils with a strong, menthol-like scent to clear your head and soothing smells to help you relax. High blood pressure is often a side effect of stress and anger. To bring your blood pressure down, reach for a scent to inspire some positive vibes. When you’re feeling anxious, telling yourself to “just relax” usually has the opposite effect. Create a spa-like atmosphere with essential oils in your diffuser, or blend with a carrier oil for a calming scent you can dab on your skin to stop those intrusive thoughts from seeping in. If the stress of everyday life is keeping you from falling asleep at night, reach for your diffuser. Let the soothing scents surround you as you let go of your worries and drift into dreamland. Chase away congestion and kill the virus by reaching for essential oils that have strong, menthol-like, and antibacterial properties. You can add them to your diffuser to bring relief at home, or apply the oils to your skin to keep your sinuses clear. When it hurts to swallow, try breathing in the warm vapor from your diffuser. A mix of oils that kill germs and soothe irritation, like lemon and lavender, will stop the pain and promote healing. If your sore throat is part of a larger illness, add some essence to a relaxing and refreshing bath. When your mind is racing, aromatherapy can help you find focus and relaxation. Choose essential oils to stimulate your mind and inspire clarity. Try them in a diffuser at home, or apply them to your skin for a boost at work or school. Aromatherapy can change your mood by flooding your mind with pleasant memories attached to a particular scent. Recreate that feeling by choosing a scent reminiscent of something you enjoy. Perhaps that’s lavender, because it makes you think of a spa. Or maybe it’s vanilla, because it reminds you of cookies baking in the oven. What are your favorite essential oils when you’re feeling under the weather? Let us know in the comments, and learn about more natural remedies for your health. "Our essential oils guide will teach you how to use them and which ones to grab when you need a boost."